Yesterday (over afternoon tea at The Langham – because what else do you talk about over finger sandwiches? ), Lorella and I exchanged anecdotes about our favourite subject: Elvis. This is one of the bonds of our friendship. Years ago we discovered that we both went through a period of Elvis Obsession when we were about 12 years old. Which is how we became Elvis scholars. 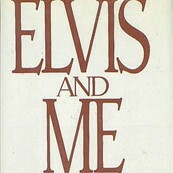 It’s almost embarrassing the amount of random sh-t we know about Elvis because we’ve read so many Elvis biographies. And then it just so happened that Priscilla and Lisa Marie were in Vegas for the opening of Graceland Presents ELVIS: The Exhibition, The Show, The Experience. F-ck. 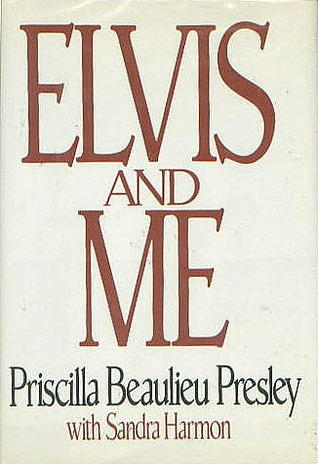 Do you know Lorella and I both had early copies of Priscilla’s memoir Elvis & Me, the best book ever? I can’t find mine anymore because my parents kept moving. And Lorella’s fell apart from overuse. If you come across one, contact me immediately and let me know. I’m not ordering it online. It has to be a FIND. Anyway, we’ve just killed a lot of time this morning revisiting our Elvis memories. Like the time Richard Nixon gave him that “Narc Badge” even though all Elvis ever did was get loaded. Seriously, no one did gossip better than Elvis. He was the ultimate drama queen. There’s a book that just came out called We Oughta Know by Andrea Warner, considered to be one of the “strongest young voices in music journalism”. I previously highlighted Warner’s work last year when she wrote about the 25th anniversary of Milli Vanilli. Click here for a refresher. We Oughta Know is about four Canadian women who changed music in the 90s: Alanis Morrisette, Sarah McLachlan, Shania Twain, and Celine Dion. And not just in Canada but EVERYWHERE. Also…how their music changed us. I’m a sh-t for not appreciating this sooner. Those were my formative years, formative years for many of you too. And these women weren’t just good, they were dominant. We Oughta Know is available for pre-order now and it will be shipped at the end of the week. Click here to read the description of the book.